The government has seized control of the IL&FS board recently. As situation turns murky, the Institute of Chartered Accountants of India (ICAI) said it has issued notices to audit firms that conducted statutory audit works of IL&FS group in the past few years. The institute, however, has not disclosed the specific details. In the recent past, there have been news reports regarding diversion of loan money in IL&FS and its subsidiary companies, the ICAI said in a statement. 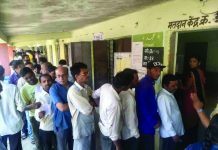 “The Disciplinary Directorate of the ICAI, upon coming across such news report has suo motu taken cognizance of the matter and pro-actively issued notices to the statutory auditors on October 4, 2018 for the relevant years of the concerned company seeking their explanation in the matter,” it said. The institute has also written to the Reserve Bank of India and the Serious Fraud Investigation Office seeking details about IL&FS issue. The Infrastructure Leasing & Finance Services, is a core investment company and serves as the holding company of the IL&FS Group, with most business operations domiciled in separate companies which form an ecosystem of expertise across infrastructure, finance and social and environmental services. The IL&FS IL&FS’s mandate was to finance the building and maintenance of infrastructure projects that were meant to be commercially viable in the long run like toll roads, ports, power generation and/or distribution facilities and so on. At its inception in 1987 as a ‘core investment company’ registered with the RBI, it could look mainly at private sector ventures, because the public-private-partnership (PPP) model was still in its infancy. Its original stakeholders were UTI, HDFC and the Central Bank of India. IL&FS has institutional shareholders including SBI, LIC, ORIX Corporation of Japan and Abu Dhabi Investment Authority (ADIA). As on March 31, 2018, LIC and ORIX Corporation are the largest shareholders in IL&FS with their stakeholding at 25.34 per cent and 23.54 per cent, respectively. Other prominent shareholders include ADIA (12.56 per cent), HDFC (9.02 per cent), CBI (7.67 per cent) and SBI (6.42 per cent). It was a government-sponsored enterprise in the private sector. Over the decades, the company reinvented itself in every which way imaginable. The company had also outgrown its original mission, mutating into a major infrastructure player itself, no longer content with financing of infrastructure alone. “From concept to execution” became its byword and the focus shifted from sponsoring a project to facilitating, even actually implementing it. Its operating model was also a giddy amalgam of subsidiaries, associates and special purpose vehicles (SPVs) many of which were set up around a specific project, such as a road, a bridge or the celebrated Chenani-Nashri Highway Tunnel, the country’s longest (9.3) road tunnel on NH 44 in J&K which has reduced the travel time between Jammu and Srinagar by a spectacular two hours. 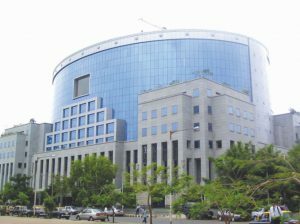 In the process, the IL&FS group grew into a true behemoth, formidable but also unwieldy and extremely complicated in its architecture, comprising over 200 business units/arms each of which drew sustenance from the parent/holding company (IL&FS Ltd) but did not easily lend itself to a close examination. Only three of IL&FS’ subsidiaries are listed companies — none of the SPVs is a listed entity — and the intermeshing of their financials makes the group quite opaque to any meaningful scrutiny. The holding company managed to show itself in good light even as the group as a whole had been sinking under the dead weight of unfinished projects and dramatically rising liabilities. Over the three years from 2014-15 to 2017-18, consolidated debt rose 44% to nearly $13 billion and the debt-to-net worth ratio climbed to a staggering 13:1. Analysts have indeed shown that even these numbers may be off the mark, that the group’s net worth may have completely eroded if we factor in all the intangible assets and the quasi-equity funds that have been generously treated on par with equity in the group’s balance sheet. The IL&FS Financial Services, a group company, defaulted in payment obligations of bank loans (including interest), term and short-term deposits and failed to meet the commercial paper redemption obligations due on September 14. On September 15, the company reported that it had received notices for delays and defaults in servicing some of the inter corporate deposits accepted by it. Consequent to defaults, rating agency ICRA downgraded the ratings of its short-term and long-term borrowing prograramme. The defaults also jeopardised hundreds of investors, banks and mutual funds associated with IL&FS. The defaults sparked panic among equity investors even as several non-banking financial companies faced turmoil amid a default scare. During 2017-18, the net group loss was 21 billion while, in the same year, short-term debt alone went up by 136 billion. The holding company’s market standing was leveraged by every subsidiary and each SPV to raise more and resources at a steady clip. As we know the infrastructure financing is a tough enough job at the best of times and when it is coupled with dirtying one’s own hands by actually executing infrastructure projects, the problems could only multiply manifold. All infrastructure projects typically come loaded with a generous basket of risks that most other business ventures manage to steer clear of: long and protracted implementation; natural calamities or some other unforeseen contingencies; delayed for regulatory approvals; escalation of costs well beyond the original estimates and the need for mobilizing and servicing of additional debt; inadequate, or at any rate slow revenue/cash generation; and finally, often a change in the business environment that nobody ever anticipated. Naturally, the servicing cost of a bank loan rise significantly, because bank loans are benchmarked to some underlying which may change dramatically in course of the project’s implementation and debt servicing. The financing of infrastructure is often plagued by all these risks, because if the project cash flows are low or delayed, debt servicing cannot help being tardy or erratic. But even more importantly, there is a fundamental flaw in funding of infrastructure because the lion’s share of the financing is accounted for by commercial banks. Now, project loans are typically long-duration exposures, while an Indian bank’s corpus of funds has an average maturity of no more than three years today. This mismatch between the sources and the utilisations of bank funds is fraught with serious liquidity risks. And delinquencies in infra loans have been the single most important cause of bank NPAs in recent years. 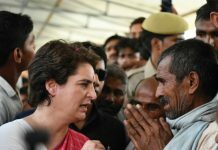 Till the 1980s, India had what were then called ‘Development Financial Institutions’ — like the IDBI, the ICICI or the IFCI — that had been set up primarily as vehicles of project funding. Traditionally, the commercial banks were engaged in financing short-term (mainly working capital) needs while the resources of these DFIs were harnessed for longer-term loans. Equity, long-term deposits and debentures funded these institutions. Later, corporations like the Infrastructure Development Finance Corporations were created so as to cater for long-gestation projects and for refinancing bank loans to infra projects. Slowly, however, all these institutions were attracted by the idea of ‘universal banking’, and eventually all of them transformed into commercial banks. The irony is, IL&FS seems to have entered and encountered serious problems as an infrastructure financier for many years, it could not but have been acutely aware of the many serious problems the whole infra sector is laden with. Incredibly, however, it plunged headlong into the turbulence itself, daring it do its worst, as it were. It is here that the company’s board comes into sharp focus. It is always the board’s brief to direct policy as well as to oversee the implementation of agreed policy. It is completely unbelievable that a board packed supposedly with some of the best and brightest in brains (R.C. Bhargava, Michael Pinto, Jaithirth Rao, S.B. Mathur, Rina Kamath) failed so outrageously in its basic duties. The board had nominees of SBI, LIC and CBI as well and it is inconceivable how these institutional directors merely looked askance while the senior management dictated terms. Indeed, the board was so self-indulgent that its risk management committee never thought it necessary to meet after July 2015. Is there road to revival? The impasse at IL&FS is unlikely to be resolved soon, or with just about minimal loss to the stakeholders. The Mumbai-headquartered company has identified at least 25 projects for sale, which include some road and power projects. It is learnt that the company has already received firm offers for 14 projects. The government has moved National Company Law Tribunal (NCLT) today to supersede the IL&FS board and change the company management. A rescue-plan by the Centre is urgently needed. It has already proposed to appoint 10 nominee directors who will report to the NCLT for relevant plans for the road ahead.